Its easy to rewind, lightweight. It has a boil in reel to drain water faster. 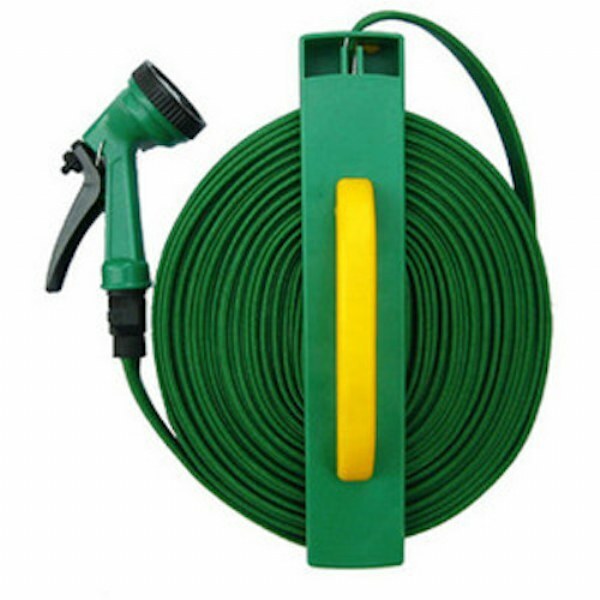 The hose were very small once you use the hose its not easy to put it back to the rail , I will not recommend to anyone. My husband was very pleased with the collapsible hose.